Justhost is a good hosting company where there is hardly any downtime issues which I've faced in the last 8 months. Good service. DISGUSTING SERVICE. INGNORANT CUSTOMER CARE. THEY TAKE LESS THAN A MINUTE TO PROCESS A CARD TRANSACTION WHEN YOU PURCHASE BUT OVER A MONTH TO PROCESS A SIMPLE REFUND. AND THEY LIE ABOUT WHY IT TAKES SO LONG. AVOID THESE. NO REALLY!! I am really shocked to read the reviews of this company. I have been with them for nearly 4 years and they have been fantastic. Always someone at the end of the phone to resolve problems and never any major issues with service. I signed up for a discounted rate of hosting for the first year. On that coming up for renewal i requested discount on normal rates to stay. 50% was offered plus free renewal of domain name and applied to shopping cart. The domain name then auto renewed at full rate. I questioned this and was told that we dont offer discounts after first year and any proof of discount i was offered would have been wiped. I would have to pay full rates to stay or leave. Emails are down on a daily basis, low transfer rates, high downtime and no response to support tickets. Way too expensive for the lousy service. If we need a hosting service, please look somewhere else. Used for several years and been satisfied. Customer support is by ticket and so not instant but on the few occasions I needed to contact them they were helpful. Downtime has been very rare. Wouldn't hesitate to recommend to anyone needing a shared hosting plan. Can't speak to their VPS or other services. JustHost is an average hosting company which excels in some parts of its services like providing value in their products. However, their customer support and after sales service is quite poor. I hope they improve on it. It's been 5 months since I've been using JustHosting and the service has mostly been great. The security offered is high level. With amazing customer support, this hosting definitely gets a thumbs up from my side. Are there any good hosting sites left for us to do our business with and grow? There are problems with literally every hosting. But one thing is certain, no hosting site has given me as many issues as justhost. They are terrible at their work with no good support to their customers. Disappointed. Simply It isn't good hosting service as they rob their customers and loot their money and the services which were promised were never provided by them also I experienced downtime many times and their Customer support is worse than ever. JustHost is a newer hosting service associated with Endurance International Group. Though, the previous fact has not provided any brakes in terms of growth to the hosting services of JustHost. The hosting services offered by JustHost are best suited for newcomers in the blogging field. If you are looking for cheap hosting services with great features, then JustHost is tailor made for you. The reliability provided by JustHost is admirable as well. Despite being new JustHost satisfies many needs of users and offer high performance at relatively cheaper rates which make it a value for money option. JustHost is a new hosting service in the market which presently offers three kinds of web hosting services to users namely Web Hosting, Dedicated Hosting and VPS Hosting. The lack of experience has caused some complications in the past, but as they are new in the business, they are improving day-by-day increasing the scale of features and performance on a timely basis. There are many features attached with the necessary plans for each hosting services which are not offered by other leading hosting service providers. The attributes and price attached with JustHost’s hosting plans provide new bloggers with a great chance to try out hosting services with a value for money option like JustHost. The company is growing, be a part of the growth and avail every unusual feature which comes with JustHost Hosting services in the process. JustHost’s initial web hosting plans start at $3.49 per month which is affordable and low priced as well. The major features of the plans include the availability of lots of freebies. You get unlimited hosting space, email accounts and domain hosting at such low price. The attributes can amaze an individual, but it is real. In addition to these unlimited features, the user gets free domain name registration, instant setup and site builder adding more freebies to the plan. Also, you get credits for Facebook, Bing and Google which can come out to be helpful for advertising the website on social media. We count JustHost as the best hosting service in the market for newer users who want to try out their luck in the blogging world. You can install an application with just one click and have a technical team to support you for taking every step ahead. The conditions are highly favourable for the newer section of the bloggers. Why Should You Opt For JustHost Web Hosting Services? Features: The list of features can surely impress every kind of blogger out there aspiring to find out a value for money hosting service. Free Credits: An individual gets free credits for advertising the website on Facebook, Google and Bing. Freebies: There has been a case with plans of many hosting services that the features have a particular limitation in a plan. However, we guarantee that you won’t ever face that issue at JustHost. 24/7 Technical Support: Users can contact the technical team of JustHost anytime in the day via phone, email or live chat option. Money Back Guarantee: This factor assures the authenticity of the service. Dedicated Hosting servers offer users a chance to customise the working of servers as per their needs manually. The client will get root access to have complete access to server. For increasing the security quotient of the service, JustHost mirrors the website data and protects it with the aid of RAID 1. Caching stays on the higher side as well. Each plan will certainly guarantee you high performance. The enhanced cPanel of dedicated servers of JustHost are relatively easier to use. Like the company says “We don’t cut corners, we define them,” the servers are manually built by the experts using best components and software. The servers are monitored 24/7 throughout the day. Additionally, the advanced cloud technology such as OpenStack and KVM provides many customizable options to users. The dedicated support team will available to help you in addition to the money back guarantee. These two terms tip the reliability section of JustHost Dedicated Hosting servers. Why Should You Opt For JustHost Dedicated Hosting Services? Support: The dedicated servers are monitored 24/7 by the dedicated team of JustHost. The user can contact them anytime throughout the day to solve any complications concerning the dedicated servers. Root Access: The user gets root access. Therefore, the person has complete control over the server. Performance: Enhanced Caching mechanism of JustHost guarantees high performance to users. Security: Website data is mirrored and protected by RAID 1 which ensures high security for the site. VPS Servers of JustHost VPS Hosting Services are fueled with powerful cloud technology to allow users to browse many valuable features and options with an assurance of growing better in the future. It has an enhanced cPanel which offers a friendly environment to the clients. VPS Hosting services are generally used because they offer the features of Dedicated Hosting at the price of Shared Hosting. Thus, as a part of VPS Hosting, users get complete control over their server via Root Access. The VPS servers guarantee high quality and high performance. The KVM Hypervisor Virtualization technology is a very useful feature which is attached with JustHost VPS Hosting plans. Users can manage all the accounts with simply one login which makes the process quite efficient for users. The servers are designed to offer high speed to users. If users encounter any issue during the working, then the support team will be available 24/7 to provide support to users. Why Should You Opt For JustHost VPS Hosting Services? Friendly Environment: The enhanced cPanel offers a desirable interface to users. • Money Back Guarantee: This factor assures the authenticity of the service. • Root Access: The user gets root access. Therefore, the person has complete control over the server. • 24/7 Technical Support: Users can contact the technical team of JustHost anytime in the day via phone, email or live chat option. • Speed: With the aid of OpenStack and KVM features, the VPS Servers of JustHost offer high speed to users. Despite being formed in 2008, JustHost offers high reliability to users. Their team is entirely dedicated to enhancing the services provided by JustHost. This fact is one of the reasons why JustHost is experiencing a positive curve in its sales. Contact them whenever you want, they’ll be present to remove all the issues. Thus, we can say that the value of their authenticity is profoundly satisfying. JustHost has some amazing features to its name. However, people might wonder about the uptime rates as JustHost is relatively newer in the hosting business. To curb your thoughts concerning the uptime, you can even refer to ‘Why Us?’ page of JustHost which proper information regarding their services. They offer average uptime of 99.8% which is very close to the standard uptime value. JustHost has a team which specialises in solving errors of clients. The company was founded in 2008 which can incline users to think that their support would not be as better. However, they still have enough reputation and resources to satisfy the requirements of users. Their support is admirable and will never let you down. 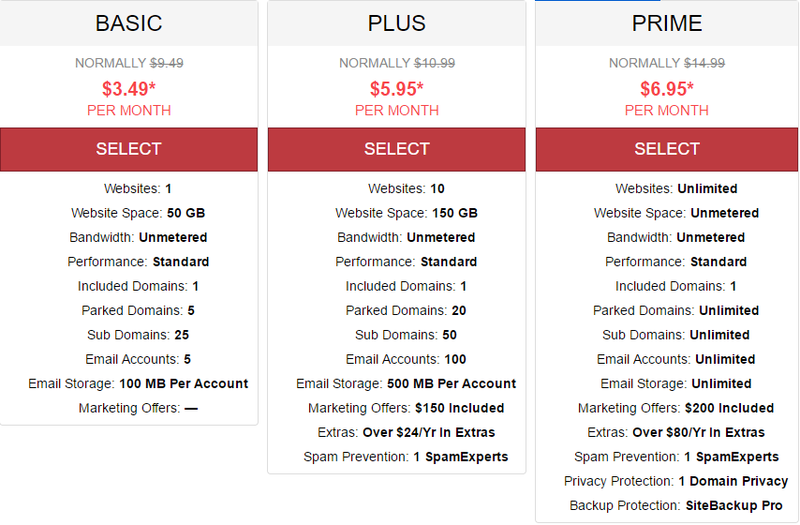 For a relatively new hosting service provider, JustHost offers some moderately higher priced plans. The company is directing its focus towards signing up customers for long term works. Thus, if you want long term relations with JustHost, plans will cost you comparatively lesser than those which are directed toward short-term work. You’ll have a refund policy in your pocket to back up your purchase. Thus, it is wise to opt for long term plans and then decide if the service is worth it or not. It has been very common that newer hosting service providers tend to offer lots of freebies in their plans. You get Facebook, Google Adwords, and Bing credits in addition to Unlimited Storage, Email Accounts and A Domain with many plans of JustHost. Additionally, you can install applications with just one-click on JustHost. With the characterization of the incredible support JustHost offers and their high uptime rate, their features are definitely amazing. JustHost is a part of Endurance International Group which is renowned for being the owner of various leading hosting services like Bluehost, HostGator and iPage. The hosting company was founded in 2008. Despite being new in the market, it has been able to grow eventually and become a leading hosting service provider as of now. The company is still in development enhancing its features. This fact is the reason why each plan has many unlimited and free attributes to attract users.